Baking has hit a boom! Everyone wants to get involved and we have so many products that are going to help you make some beautiful bakes. This week we have added three new packs of Cupcake Cases to our already great range! Whether you're baking for a cake sale, baking for a birthday party or baking purely for pleasure, you'll enjoy eating your cake out of these great cupcake cases. Our three new cupcakes are spotty! 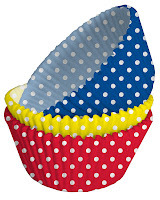 There is a colourful pack of red, blue and yellow - ideal for a spring baking session. We also have soft blue and soft pink packs which are a mixture of spots, block colour and cheque - great for a baby shower or young child's birthday. 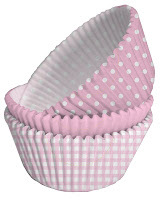 Our existing cupcake cases range from dinosaurs to skulls and paisley to plain white. 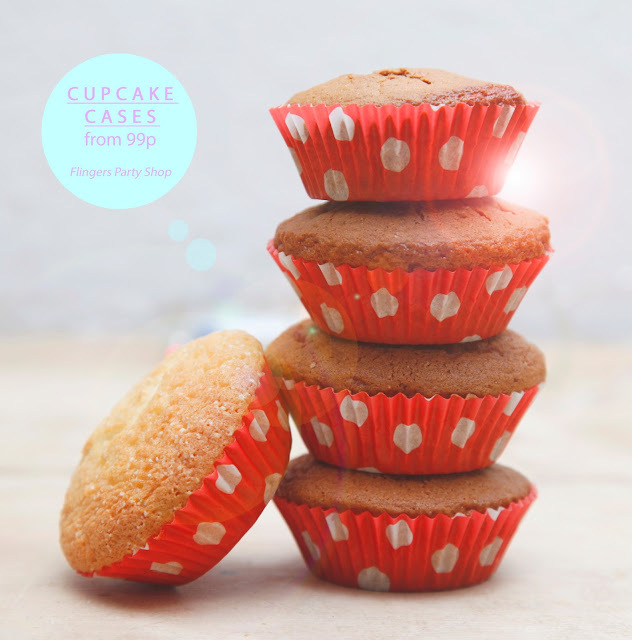 They're definitely worth a look as you'll definitely find something perfect for any themed party, event or bake sale.